Hope everyone’s had a good summer! Or, for our friends in the southern hemisphere, a tolerable winter. In any case, here’s a look at how our summer’s been going, and what we’re going to tackle next. Show and hide items based on fields of referenced Collections. Another long-requested feature that came out in July was the ability to show or hide items based on the fields of referenced items in that Collection. For example, on a blog post page, only show the author’s Twitter bio link if it’s set for the referenced author. Neat-o, gang! Last month we added a new field type to the CMS: files! No more messy workarounds needed — now you (and your friends in the Editor) can upload files directly to a Collection item to create handy, downloadable links right on your site. But, don’t forget to set 301 redirects for changes to live URLs. This one should save a lot of headaches. In the old days (and by old days, we mean before August 23rd), you weren’t able to edit the URL structure for Collection pages after you created the Collection. Which, as we were all too aware, was a pain. Thankfully, that’s no longer the case, since you can now edit Collection URL slugs as much as you’d like. Uncheck “global” to keep swatches static. Creating static color swatches in your Webflow project can be a great way to save time as you’re building something out. But creating global swatches can save you even more time: update that swatch in one place, and you’ll see that change cascade across every instance of that color. So we made global swatches the default. Project settings > Integrations > Facebook pixel. 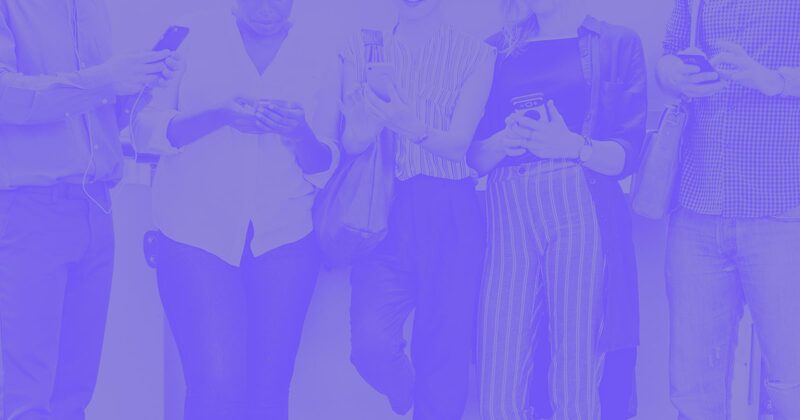 Want to collect better intel on how visitors are interacting with your site, and run ad campaigns for them on Facebook and Instagram? Easier than ever, thanks to our new Facebook pixel integration: simply paste your Facebook Analytics pixel ID in your project settings. Like Spotlight or Alfred, but for Webflow. After a couple months in beta (thank you to our testers!) we made some design tweaks and updates to quick find, making it easier than ever to quickly hop through your project, add new elements, find assets, and more. Fire it up with Command/Control+E and enjoy the newfound speed. 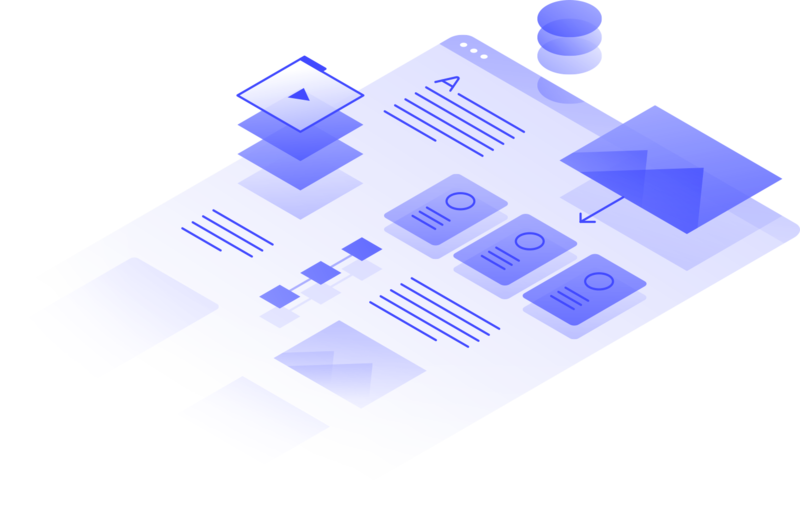 Our hosting platform has seen incredible growth, and to support our international user base, we’ve added a new, Europe based SSL datacenter. This is a large infrastructure investment for us as we grow our hosting platform to over 500 requests per second — over 1.3B page views a month! Thanks to this update, site visitors in Europe will see faster page load speeds, with requests being automatically directed to the datacenter that is closest to the user, based on their geolocation. Building upon this improvement, our next step is adding additional SSL datacenters to support growth in Asia and Oceania. 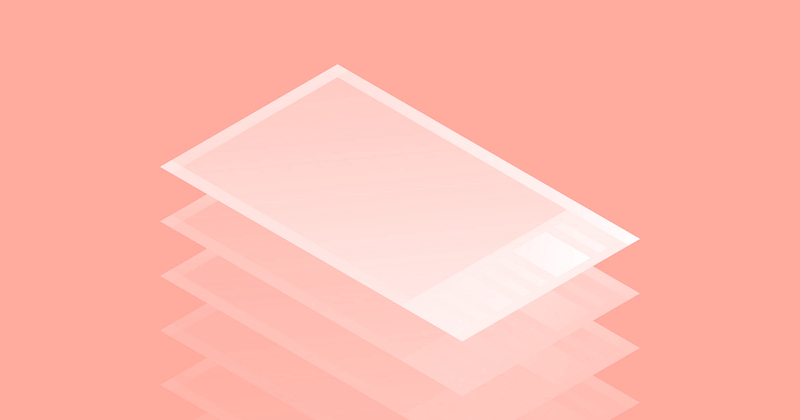 One of the most exciting releases we have coming up is a new, CSS grid-powered layout system in Webflow, aptly named … grid. 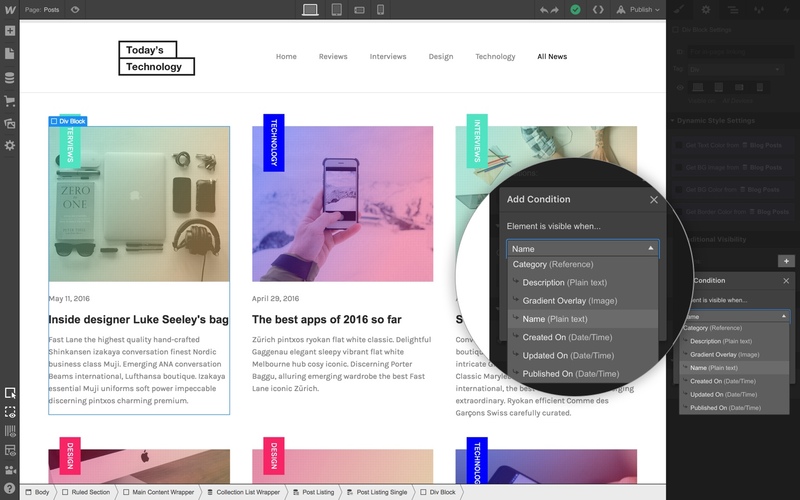 Built on top of CSS grid, it unlocks an entirely new layout system in Webflow, and the power of this new system has to be seen to be believed. Happily, our lead product manager on grid, Linda Pham, recently gave a demo in our workshop. Check it out if you’re interested in seeing grid in action. Yes! This is finally coming. We’re already running a limited number of people through final testing with the product to help us identify major bugs. And the final piece of our pre-beta development work — checkout — is nearing completion. Expect invites to the beta in the next couple months. Soon we’ll be releasing an update that will let you download your content as a CSV, one Collection at a time. 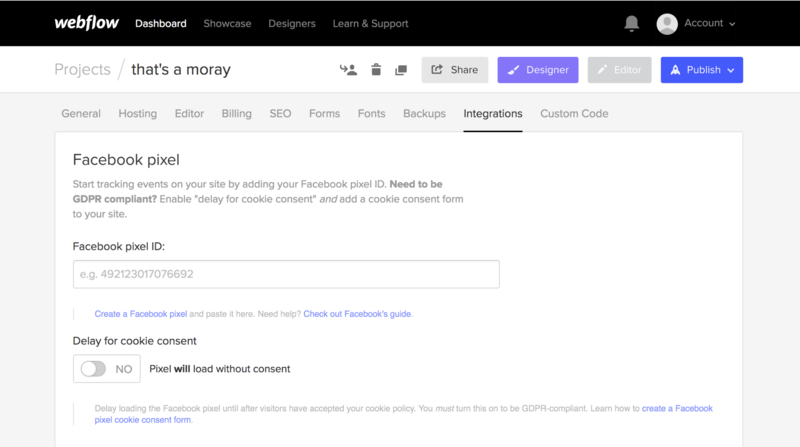 This will make it easy to migrate your CMS content from one site to another, or, if you must, to another platform. Though we’re not ready to share a release timeline, we’re moving full-steam ahead on this highly requested feature. Soon, you’ll be able to set automatic pagination after x number of Collection items — no more annoying, manual updates to “fake” pagination. As part of a larger project to revamp and improve symbols, we’ll be releasing an update that should make them even more useful: content overrides. In short, this will allow you to change content, assets, links, and more for each instance of a symbol, without needing to apply those changes to every other instance. As part of our efforts to improve performance in the Designer, speed up our development process, and modernize our UI, we’ll be pushing some cosmetic updates to the styles panel — which you’ll be able to try out in beta before we permanently roll them out to the product. So keep an eye out for that! What are you looking forward to us releasing most? Let us know in the comments!